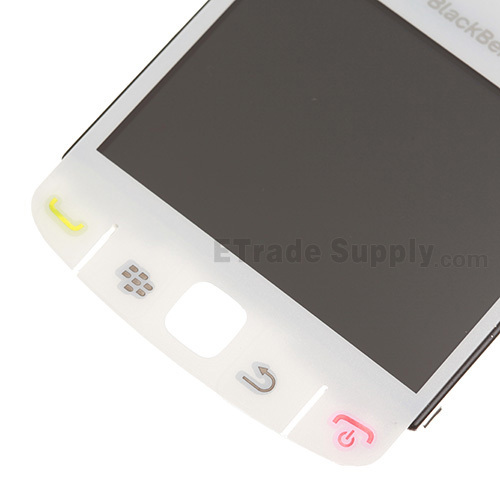 This Blackberry Curve 8520 LCD Screen is also fit for Blackberry Curve 8530. 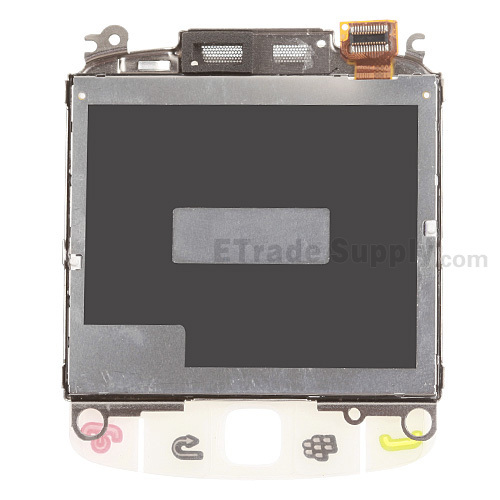 The flex cable ribbon of BlackBerry Curve 8520, 8530 display is very short and it is clip to fit. 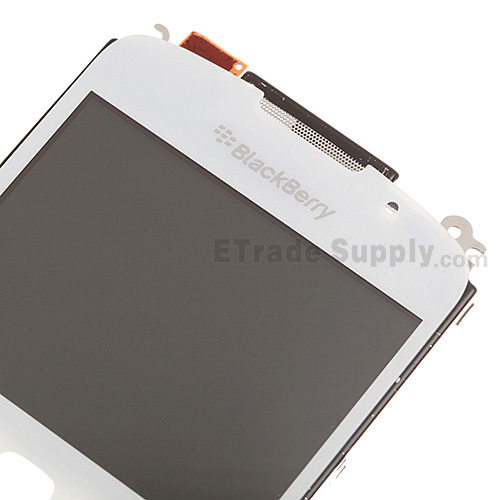 This BlackBerry Curve 8520, 8530 LCD Screen does carry with a metal frame and glass lens as well as adhesive, but the LCD and lens are not assembled. ETrade Supply has established the ISO9001 certified QC procedure. For each BlackBerry Curve 8520, 8530 LCD Screen, we apply strict cosmetic inspection and functionality test process before packaging and transportation. 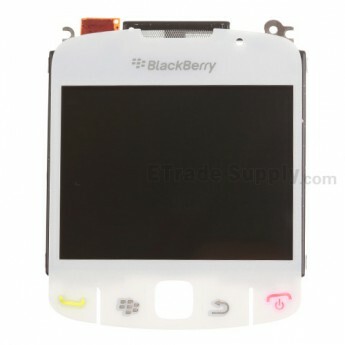 We also invent our own super-protective packaging method to give the maximum protection to the BlackBerry Curve 8520, 8530 LCD display. 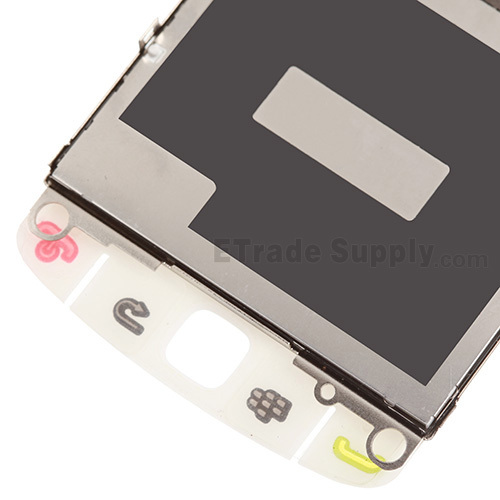 Apart from this part, ETrade Supply also supplies other replacement parts of Blackberry Curve 8520 and 8530. Installation notes: please install the Blackberry Curve 8520, 8530 LCD screen with metal frame and glass lens gently for fear of damaging the IC in the LCD. 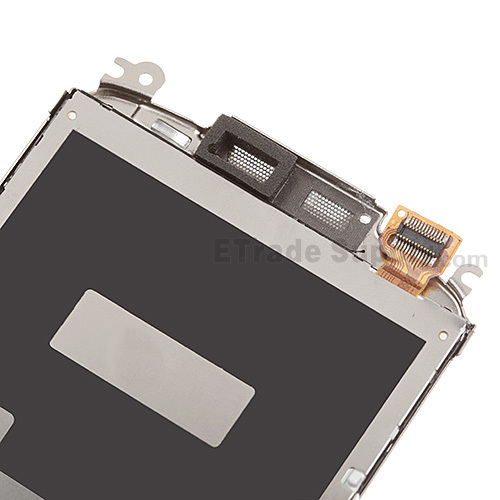 Make sure the flex cable ribbon of the Curve 8520, 8530 LCD screen does not get any scratches. Please be kindly noted that ETS cannot be responsible for any possible damage caused by incorrect installation. Also, please try to handle the repair or replacement work in dry environment without direct sunlight (the temperature should be kept between -20 ? and +70 ?). Also, please keep the Blackberry Curve 8520, 8530 LCD Screen with metal frame and glass lens away from acid, alkali or other corrosive materials.